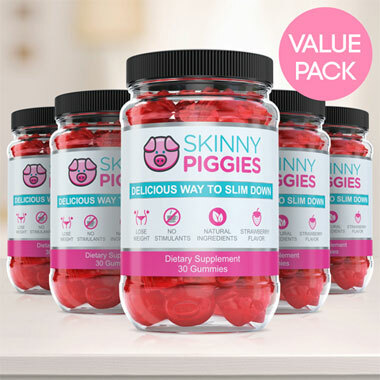 Skinny Piggies fiber supplements that act as appetite suppressants are the best for weight loss. They are based on natural ingredients like Inulin fiber, 5-htp, inositol and biotin. These natural ingredients are clinically researched appetite suppressants that help you battle your cravings and help you eat less and lower your caloric intake. 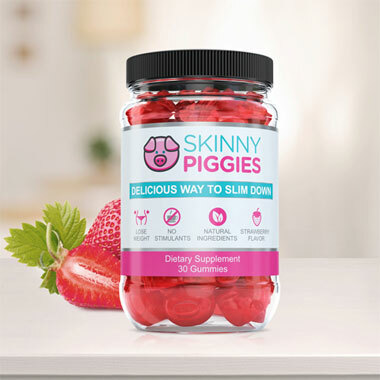 Skinny Piggies gummy fiber supplement do not contain any stimulants. If you're battling with your appetite, Skinny Piggies fiber supplements are one of the best and healthiest ways to reach your weight loss goals. On top of that, these gummies taste amazing! Where to Buy Fiber Gummies? When to Take Fiber Gummies? Why do Fiber Gummies Cause Gas? What do Fiber Gummies do for You? How Many Fiber Gummies Per Day? What Fiber Supplement is Best for Weight Loss? What Fiber Supplement Should I Take? What Fiber Supplements Are Gluten Free? Where to Buy Fiber Supplements? How Much Weight Can You Lose in One Week? Do you like eating great tasting meals but also really want to shed some pounds? Burning fat is all about maintaining a caloric deficit which will almost certainly make you hungry most of the time. Fortunately, there is a unique product that can help you: Skinny Piggies. What's Skinny Piggies? Let's talk about some facts you need to know first. Before we discuss what Skinny Piggies gummy fiber supplements are, let's talk about what is needed for your body to start shedding weight. 1) A plan which is enjoyable enough that you can follow it for a long period of time. The fact is that a large number of diets skip one or more of mentioned items. To see effective success with your program, it's imperative that you eat fewer calories than you burn daily. You could do that in one of two ways: increase your energy output with exercise or decrease your food consumption. Doing both of these is the most effective! Hold up though. That is great, but when you begin cutting those calories and carbs cravings will set in, not to mention hunger that becomes very hard to tolerate. And that's where Skinny Piggies gummies can really help. Skinny Piggies are fun, delicious healthy snacks you don't have to feel guilty about! Enjoy the savory flavor of these gummy fiber supplements and let them do the rest of the work. Ok. So, what exactly are the gummy supplements good for? How Do Skinny Piggies Gummy Fiber Supplements Work? Appetite is mostly controlled in: caloric consumption and the feeling of food in the stomach. When you eat a meal, your stomach fills up and the stomach gets bigger. That is what creates the feeling of being full and you stop eating. When you start taking Skinny Piggies before eating lunch or dinner, you trick your stomach into feeling fuller. Eating a Skinny Piggy with a big glass of water 20 to 30 minutes prior to eating dinner will cause it to expand in your stomach and gives you the feeling of having eaten a large meal. This way you can fight the urge for food and eat less, without feeling hungry all day long. When you use these delicious gummy fiber supplements just before eating, it form a soft gel coating all around the food, which slows the uptake of the sugar and carbohydrates into the blood stream. This helps keep the blood glucose levels more stabilized and ensures you stay in weight-loss mode all day. It may even help make your gym sessions much easier. Well-balanced Ingredients: On top of helping you suppress appetite, they also help the growth of healthy nails and hair and keep your skin look healthy. Delicious Taste: Few gummy supplements taste good, and none have the same tasty flavor of strawberries, meaning that Skinny Piggies are a snack you'll enjoy. No Harsh Stimulants: Using a dietary supplement with no harsh caffeine means that there aren't limitations on when you may eat them, and our formula without irritants means that the gel is easy on sensitive stomachs. Genuine Ingredients: Unlike other diet pills, it's easy to pronounce all ingredients in Skinny Piggy gummies, knowing that you're nourishing your body with only the best nutrition. Losing body fat is not easy, but our product is here to make your efforts more easy. 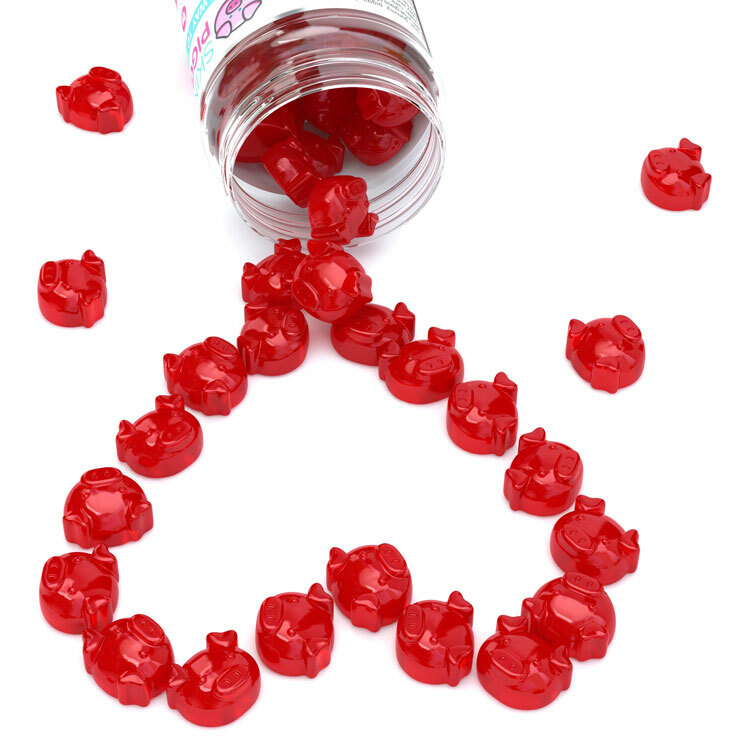 You'll love the taste of our gummy fiber supplements so much, remembering to eat your supplements won't be an issue. 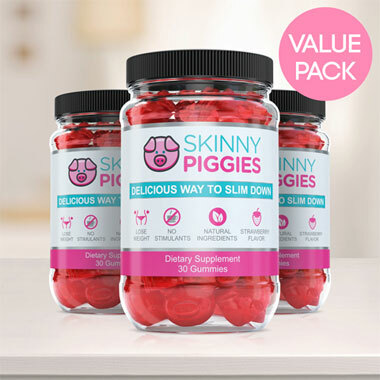 Simple to use and surprisingly fulfilling, Skinny Piggies are weight loss gummies that can help anyone.